Blades of Time is an all out action adventure bonanza of a game and it will be sure to have you glued to the screen for hours on end just like I was. I found the game very entertaining and had really smooth graphics to boot which made the game so much better. A very enjoyable game with a great story line that is sure to be a big hit. 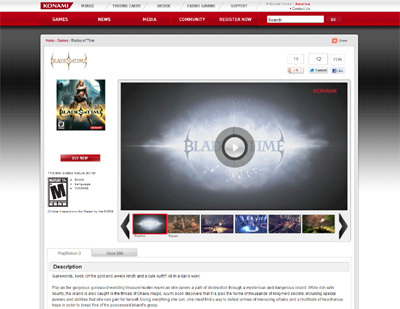 We have also compiled a Review System for this, of which Blades of Time is Rated as Four Stars, the second highest possible score available from the Game Review Team.